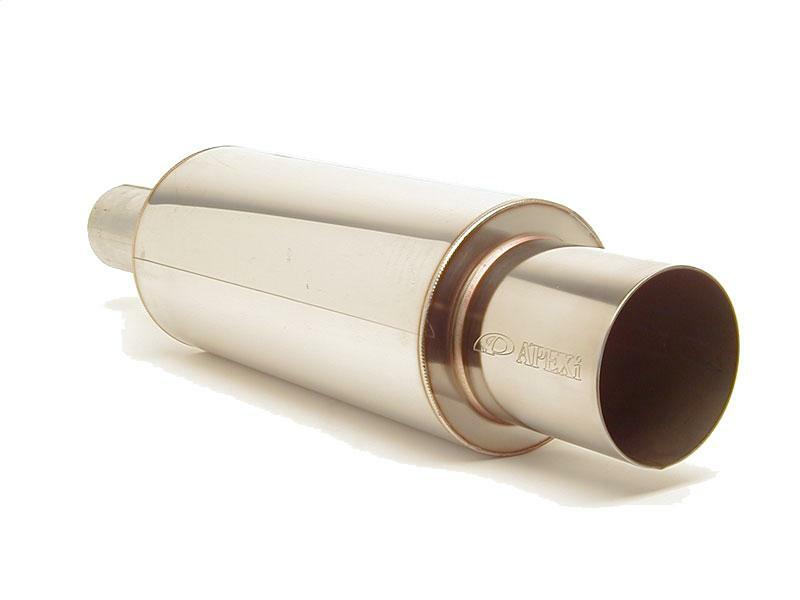 Due to the overwhelming popularity and benchmark standard of the N1 Mufflers, it was only natural that this muffler was offered as a universal. Now, the N1 muffler can be enjoyed on virtually any vehicle. Similar to the cat back system, the N1 universal uses premium polished SUS 304 stainless steel constructed using both robotic and hand crafted welding. Straight through design ensures maximum power on properly tuned exhaust systems. The N1 Universal incorporates a 60mm (2.36 in.) inlet and 90mm (3.54 in.) tip for naturally aspirated applications (156-A008) and an 75mm (3 in.) inlet with 115mm (4.53 in.) tip for turbocharged vehicles (156-A003). 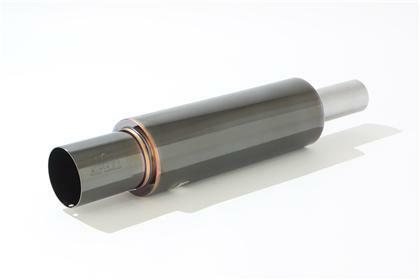 Since this muffler is universal, the output angle of the exhaust can also be determined by the customer during installation. Create your own custom N1 look while enjoying the power!